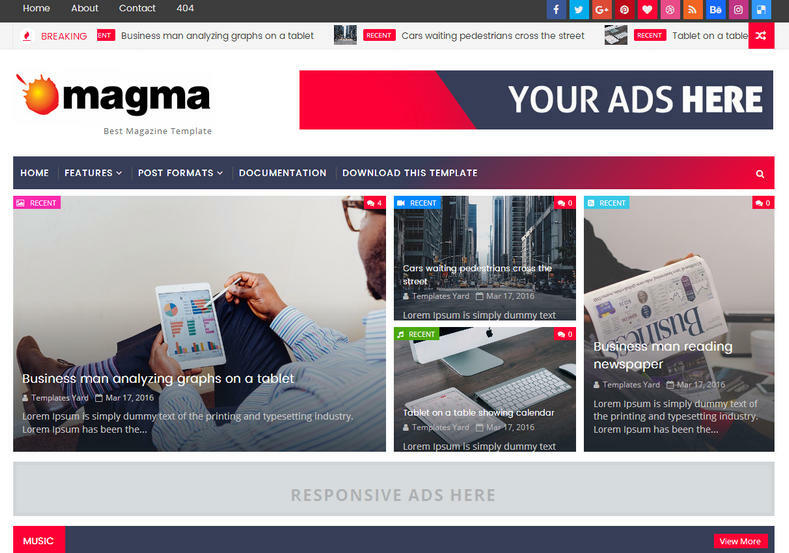 Magma News Responsive Blogger Template is a magazine blogger template. Loaded with tons of great features. It is suitable for any kind of news, tech, blog magazine, newspaper, viral blogs, authority blogging, niche blogging etc. It is a super fast loading blog template with responsive layout that will adopt any screen size. Red, News, Tabbed Widget Ready, Responsive, Magazine, 3 Columns Footer, Social Bookmark Ready, Post Thumbnails, Technology, Browser Compatibility, Email Subscription Widget Ready.